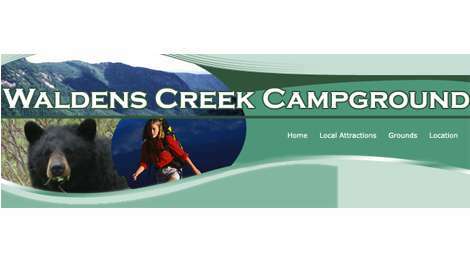 Waldens Creek Campground, located in the heart of Pigeon Forge, Tennessee,is surrounded by some of the area’s greatest attractions, as well as the exciting and beautiful Smoky Mountain terrain. Get back to nature on our gorgeous grounds. Go hiking, fishing, or just enjoy time together with your friends and family. We are located just a half-mile from the parkway and all the main attractions. Take our convenient trolley to Dollywood™, Ripley’s Aquarium of the Smokies™, or laugh until you cry at the Comedy Barn Theater™. The best part is, nearly every attraction in the area offers a great opportunity to have a great time with your entire family.